Let's say you have $200 to blow in one room in your house. How would you spend the money? Two hundred dollars is not a lot of money when it comes to redoing and entire room, but if you spend it wisely, you can make a difference in the feel of the entire room. Today, I am going to talk about my living room. This is what my living room currently looks like. It has taken several years for me to get it where it is today, but there are still a few things I would like to do. 1. I would like to repaint the room. Probably gray. 3. 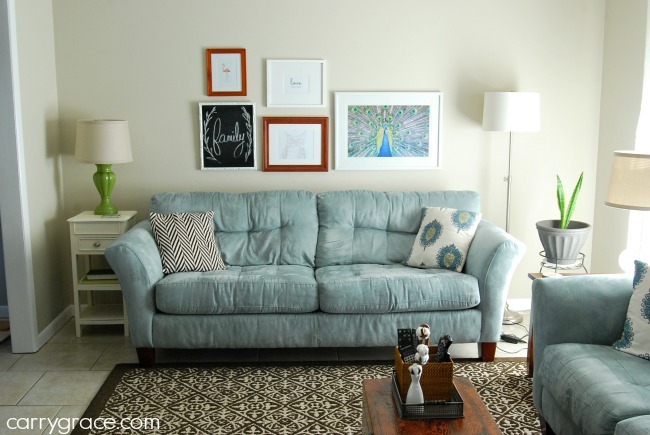 I want to completely redo the gallery wall over the couch. All of these would be nice changes for the room, but I think that the best way to spend $200 in this room would be to get a new rug. I like this rug, but I really would like to get a solid cream rug. This room does not get a lot of natural light until really late in the afternoon. A lighter rug would really make the room feel brighter and bigger. It would also make it so that I can actually see things that are on the floor. We won't talk about how many times I have stepped on a Lego. I have asked a few of my YouTube buddies to play along. You can check out my video on YouTube to get the full tour of my living room and then head to their channels to see how they would spend $200 in their living room. If these are new channels to you, please go ahead and subscribe so that you don't miss their videos when they post new ones. Now it's your turn! 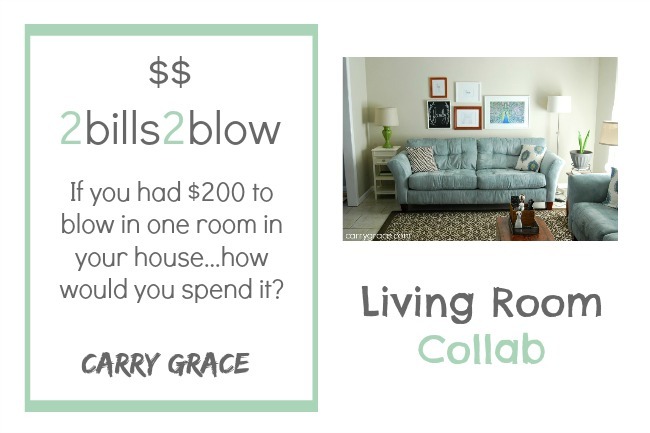 If you had $200 to blow in your living room, how would you spend it? There are 3 ways to let me know. 1. Leave a comment below or on my YouTube channel. 2. Post a picture on my Facebook page and tell me what you would do. 3. Upload a picture to your IG account and use the hashtag #CG2BILLS2BLOW so that I can find it.